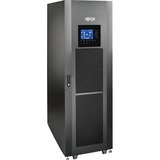 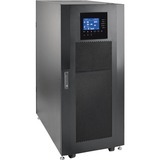 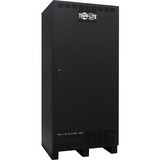 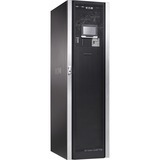 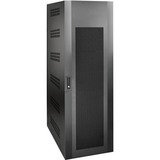 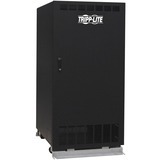 Tripp Lite's SVX30KM1P2B 30kVA/30kW SmartOnline® Medium-Frame UPS includes installed input, bypass and output breakers, a static transfer switch (STS) and 1 included 30kVA SVX30PM power module. 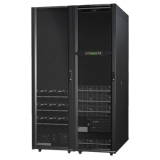 This system supports the addition of up to 3 additional user-installable SVX30PM power modules to accommodate increased capacity up to 90kW with N+1 fault-tolerance. 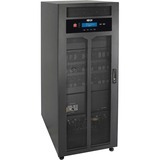 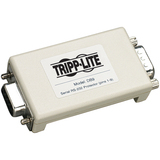 Two internal battery modules are included, with space for up to 3 additional SVXBM internal battery modules or any number of compatible ±240VDC external battery packs (sold separately).